I know it's not Autumn anymore, but today definitely felt like it! The weather here in Santa Barbara can never make up its mind. Yesterday was a typical sunny Spring day, and today was a gloomy, chilly, breezy autumn-esque day! But hey, a little season confusion is good for a gal so I decided why not go with it and so I threw together a simple Autumn outfit! 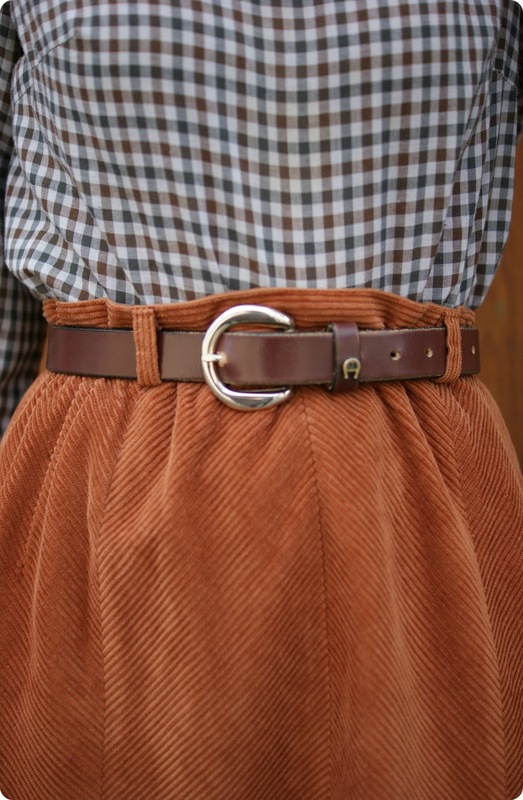 I love any shade of rusty/burnt orange and this corduroy skirt is just lovely; it's so comfy and warm, pretty much meant for a gloomy day like today. But I promise, I do have tons of Spring outfits I can't wait to wear once it warms up just a touch and I'll be sure to share of course! Blouse - Vintage for sale in my etsy shop here! Skirt - Vintage for sale in my etsy shop here! 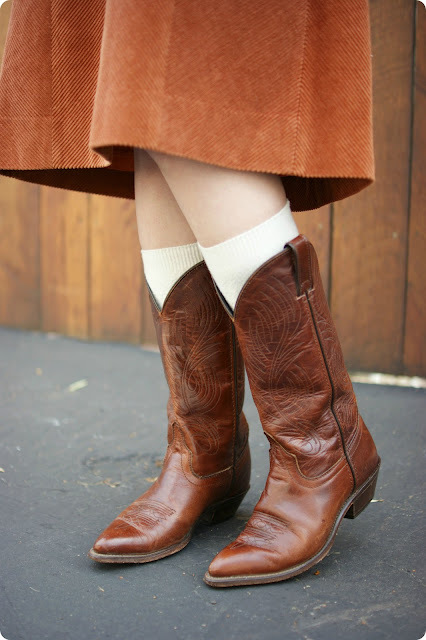 great outfit, i love the cowboy boots! I love rainy gloomy, dig out your oxfords kind of weather! I will be visiting Paris for the first time in February and I'll have my oxfords ready!